(Sorry, first the post got sent w/ password protection turned on by mistake. This was just a mistake and the password protection has been removed and I am republishing it again. Also, only a partial summary got sent even on second try. This has also been corrected and you will continue to get the FULL posts as before to your email. Sorry for any inconvenience). There are 2 mantras that I am extremely fond of; Tvameva Mata mantra, which you will find chanted by Trupti in the following video – Greatest Vedic Mantra to Express Devotion, and the mantra which I am going to present the MP3 for today, Asato Ma Sadgamaya (aka: Asa To Ma Satgamaya). I have enjoyed listening to Asato Ma Sadgamaya ever since the first time I heard it and thankfully it is an integral part of all the prayers and rituals, so I get to hear and enjoy it often . Below you will find the free MP3 download of this chant, along with the English translation and analysis. 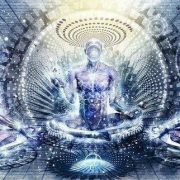 Already on the website there are many wonderful mantra chants available, some in MP3 audio format, while others in MP4 video format. You will find all these in the Free Online Mantra MP3 Downloads collection, to which Asato Ma will now also be added or course. Below is the English translation of this wonderful mantra. This is a really really great mantra. Despite this mantra being only 3 lines, it is still perhaps one of the most profound Vedic mantras ever. What this chant is asking for is the Highest of the Highest. It is a mantra which is implying that the seeker understands finally that there is no peace or happiness in anything material. That anything material will forever be transient and will forever bring suffering. Understanding this, the seeker chants this mantra and asks only for Truth, Truth and Truth. Above in the meanings, the implications are as follows. In asking for deliverance from “Asat”, the seeker is asking for deliverance from Maya, duality or the dream world. The seeker is saying, I feel this reality is not the Truth, please awaken me to the Absolute Truth (Sat). The seeker is aiming for God Realization. Similarly, in the second line, the seeker is asking to be delivered form darkness (Tamaso), meaning ignorance, to light (Jyotir), meaning awakening. Again, the seeker, understanding that what is most important in life, is awakening to the Truth, asks for nothing material, but asks for Enlightenment and True Knowledge instead. In the third line, the seeker is not asking for eternal life or immortality. The seeker is asking for Self Realization. The seeker is asking to be awakened to his Infinite, Timeless, Un-born and Eternal nature. 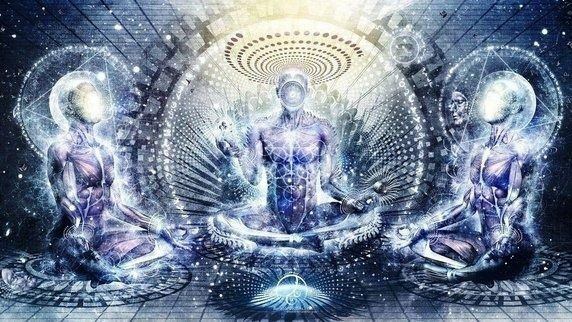 The seeker is requesting to be awakened to his True Nature, to who he truly is, and that awakening to the eternal Self is the freedom from time and death which he is seeking. If ever you were to meet the Genie in the bottle, I suggest you immediately chant this mantra for your 3 wishes . 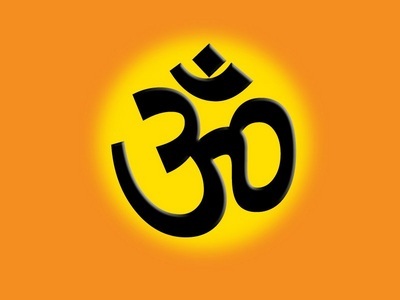 Here you will find 2 MP3 download links of this mantra being chanted in Sanskrit. One is by yours truly, and the other is by Trupti. Please download the MP3 to your computer and enjoy. I know the chants below are awesome , but please do not play the MP3s repeatedly from this link, as due to the very high volume this website receives I keep exceeding my bandwidth allowance, which makes it harder to run the website for free . To download, RIGHT click the link below choose “Save Link As…” or “Save Target As…” depending on your browser, and it will download the MP3 to your computer. Here are some of the other MP3s already uploaded and available on the website for you all to learn from and enjoy. World around us mostly tells us the lie. We live according to the approval or applause of society. We are defined by what the world thinks about us. Often we walk with a face mask; we want to look good no matter how bad our condition may be. We are most often influenced by Ads, TV, media, religion, internet etc. World knows how to fool us. We believe in lies told by the world, society and the media and we are defined by the world. Romans 12.2 “Do not conform to the pattern of this world, but be transformed by the renewing of your mind. Then you will be able to test and approve what God’s will is–his good, pleasing and perfect will. Tthe darkness is deeply rooted in the lies. Often we hide in the darkness of lie, not knowing ourselves. We stay in the state of no self awareness and ignorance. We like our comfort zones becasue of fear and lack of freedom. All we need is a spark of light of love to come out of that darkness. We pray for that light to liberate us. No one can avoid physical death. Mortality is 100 % . The prayer is not about living for ever. In a spiritual level we are more than bodies, we are spirit, we are love, we are consciousness… things those really define what we are. Without love we may as well be dead. The prayer says to bring us from death, a life without love to amrit, an enduring love for ever. Thank you for any other great article. The place else may anybody get that kind of information in such a perfect method of writing? I have a presentation next week, and I am on the search for such info. Firstly thanks for this website. I have sent links to friends. In this edition there is a small clarification. his writings on other sacred texts. Thank you for your blessings and your sweet comments. No wonder we were made to start our school prayer with this lines and were made to end it with “Tvame mata” prayer. I have a question for you. I have a tendency to create anxiety and worry in my life as I procrastinate and am somewhat lazy. You can say that I live in dream world, and taking the required actions is something that I have to really force myself with. Even with these attributes, I have achieved quite a bit of success but now they are more in my way than ever. Do you think starting with the excercize set targeting core muscle group (or 3rd chakra) would help?